I want to die for thee Yahweh, for thou better than life. I want to die for thee HWHYYahweh, for thou better than life. This is Joshua Blessed, the man of Yahweh. 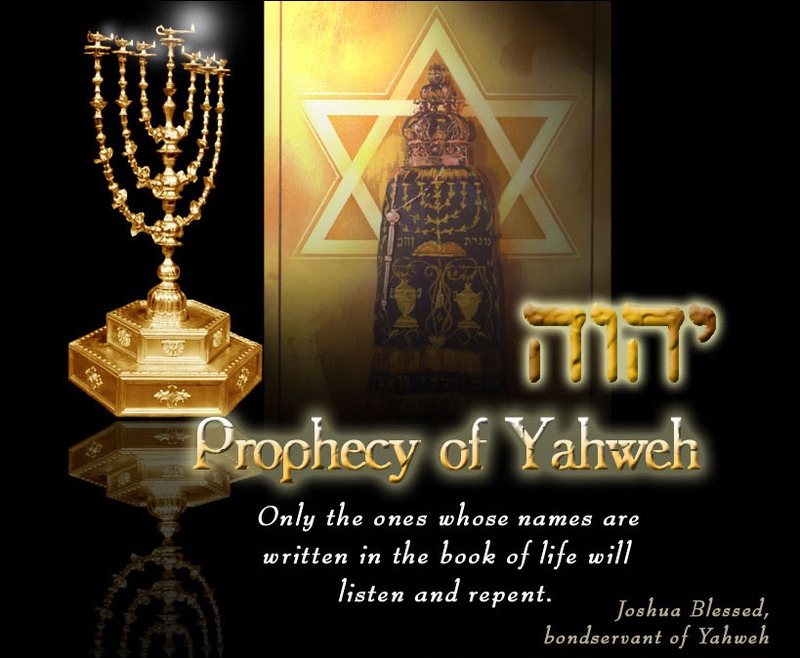 As I heard this voice I wept before Yahweh, and I said to Yahweh, ” My Redeemer, my Father, how long how long I will speak only words, but where is the power where is the power of EliYah that you promised to me? I do not want to speak, I do not want to speak empty words. I want the power of EliYah upon me, where is the power of EliYah that you promised? It looks that I am boasting, it looks that I seek a glory to myself. I do not want the glory to myself, I want the glory for you, Yahweh. I want to die, I want to die for you Yahweh. Prove me, prove me now Yahweh, whether I will die for you or not. He who have an ear to hear, let him hear. Amen. HIS OVERCOMERS. Are you one of His ? We all only have one soul, and we live only ones and we die only ones and then a heavenly judgment. Wise choose to live and die for the king of heaven Yahweh. It is a great honor to die for the king of heaven Yahweh of hosts, that shall last for eternity in heaven. NOW RECRUITING; for the hosts of יהוה / Yahweh!